Ecuador is a small country that is right at the equator and west of Brazil. I lived in the city of Guayaquil for roughly 7 years with my family, and today after reading a headline about serious flooding, I had memories of me navigating through flooding roads in 1998. The flood I saw caught me by surprise, I promised myself that I would find a way to track the weather so that myself and my family would not be caught unprepared for strong storms. Now fourteen years later, I read a storm from a online weather new source, the exact area I used to live in and other parts of Ecuador is seeing terrible life threatening weather and the news is reporting about twenty people have died. However I learned that this part of the country does see regular flooding, just that it was worsened by the effects of El Niño and La Niña. Here is a video from another area in Ecuador, this is a small town far from the major cities. As I wrote previously, the Coronal Mass ejection event (CME) that occurred from March 8th to 10th caused powerful solar storm energy equal to to strike our outer atmosphere. This is where parts of Canada and the Northern US saw the Northern Lights or Aurora. For the three days of this event the upper atmosphere received 26 billion Kilowatt hours of Infrared energy. About 95% of this energy was effectively reflected back into space. Remember that the peak of this solar activity will occur in 2013. Below is a great video on youtube that explains this event. The Launch was delayed again, but the good news is that it was rescheduled to launch tonight. Please use the links below to witness the launch of the five NASA Rockets. 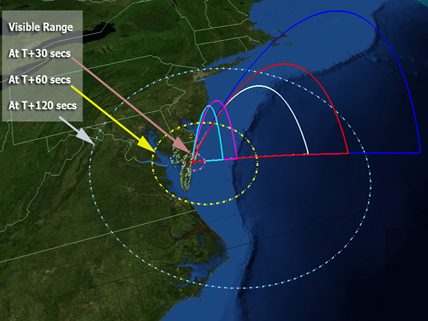 03.23.12 - The ATREX mission of five rockets from Virginia has been postponed because of weather. The next launch attempt will be no earlier than Sunday morning, March 25. The warmer weather has been affecting the southwest with numerous severe storms. Normally Tornado season starts around the end of April. Due to the higher than average temperatures, this season started early. Please watch news reports and stay weather aware for the possibility of strong storms.